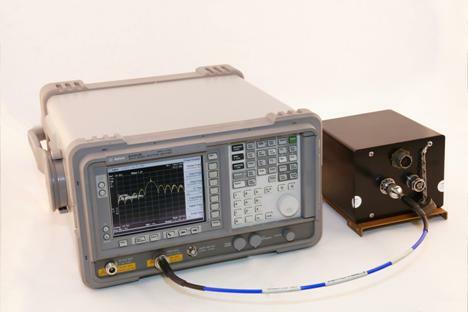 Electronic systems produced by ECTEC have been developed as instrumentation for supporting realistic battlefield testing of contemporary C4 - ISR systems and C-IED systems. The instrumentation systems have application as over-the-air emitters and as measurement systems for real-time stimulated response measurement applications. This is a multi-channel rf-emission generator used to produce realistic battlefield rf signal environments to test modern U.S. Army reconnaissance systems. Phantom provides the capability to produce over 10,000 real signals per hour with an environment consisting of a mix of tactical, commercial, hostile, and friendly communications signals. The system is packaged in a 30” x 14” x 8” enclosure (L x W x H). Figure 1 Dual Phantom II RF Signal Simulators installed in a MARTS-II equipment enclosure. This product was developed as advanced range instrumentation for ATEC. Gator I provides a small (5”x 5” x 7”), remotely controllable, battery-operated rf-transceiver system for selective degradation of tactical vehicles communications in the field training environment.. 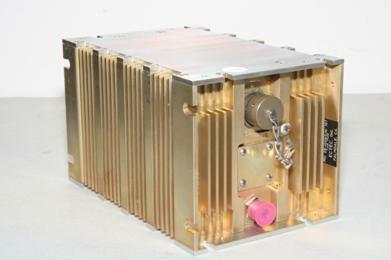 The system operates across the frequency range from 100 KHz to 3000 MHz. The receiver is designed to selectively receive single or multiple control tones and use the measured amplitude to adjust the signal generator signal output amplitude. The system is battery powered. The network interface is 1000BaseT with an AES-II encrypted Ethernet link. The operating temperature range is from 0 to 55 degrees C.
This product was developed to meet a requirement for stimulating and measuring the response of CREW systems with extremely high fidelity in the time and frequency domains. CrossBolt is a multi-octave, high dynamic range signal generator and receiver system and leverages the performance from our synthesizers and modulators to meet specific measurement requirements associated with force protection systems. The system incorporates a high performance receiver section, an exciter section for signal generation, and a customized Spectral Processor in a highly ruggedized enclosure. The overall dimensions of the unit are 6” x 6” x 9”. The unit weighs 9.5 lbs. It covers the 100 KHz to 10 GHz frequency range (expandable to 18 GHz) and has a variety of scan modes that can be implemented. The network interface is 1000BaseT with an AES-II encrypted Ethernet link. The operating temperature range is from 10 to 150 degrees F.
Figure 4 VSA Image. 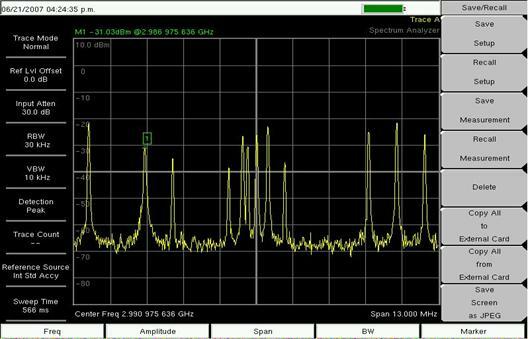 QPSK signal generated by Phantom II at carrier frequency 1780 MHz, data rate 10 Kbps. Maximum phase error is 0.6 degrees. Figure 5 VSA image. PSK-8 signal generated by Gator at carrier frequency of 1780 MHz, data rate 10Kbps. Maximum Phase error is 0.4 degrees. 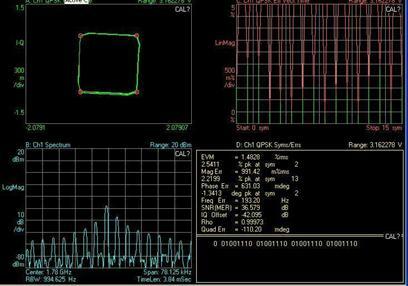 Figure 6 Spectrum Analyzer image. 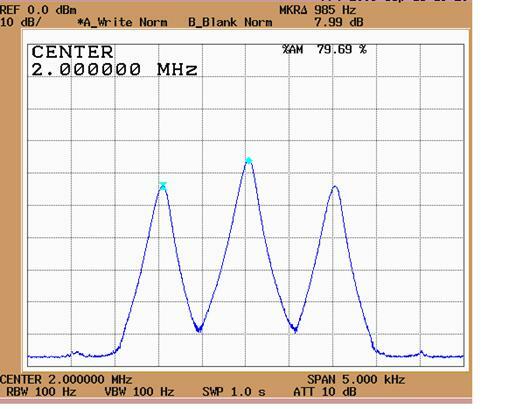 AMDSB signal at 80% AM generated by Phantom II with carrier frequency of 2.0 MHz. 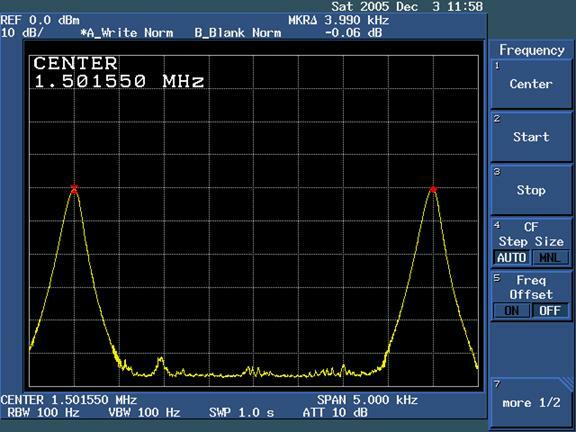 Figure 7 Spectrum Analyzer image of a wideband FM signal (BW= 58 MHz) generated by Phantom II. 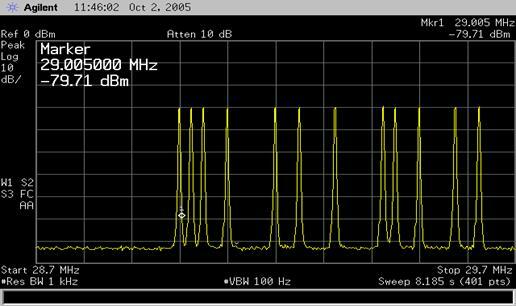 Center frequency is 58 MHz. 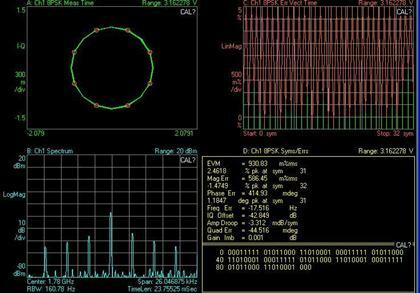 Figure 8 Spectrum Analyzer image. ISB/SC signal generated by Phantom II. 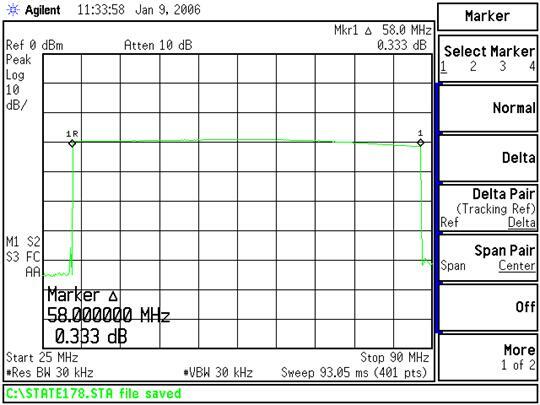 Suppressed carrier frequency is 1.6 MHz. Figure 9 Spectrum Analyzer image of 12-simultaneous signals generated by Phantom II in a 700 KHz communications channel between 29.0 and 29.7 MHz. Figure 10 Spectrum Analyzer image of 12-simultaneous signals generated by Phantom II in a 13 MHz communications channel between 2984.475 MHz and 2997.475 MHz. Figure 11 Time domain response of simulated CREW system as measured by CrossBolt. 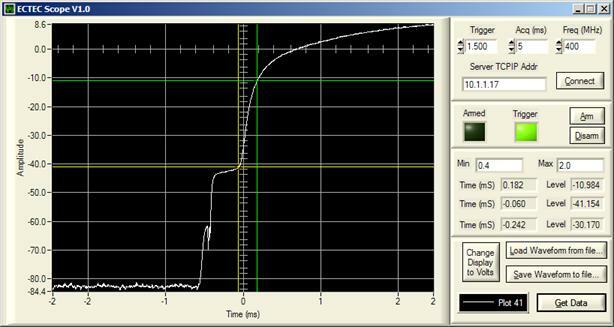 Figure 12 One channel of our synthesized signal generator producing a CW output signal at 5.8 GHz. Figure13 Phase noise plot for the 5.8 GHz signal shown in Figure 12 (-101 dBc/Hz @ 20Khz). Home | Company | Products | Contact Us | ©2013 ECTEC Inc.